#26220 Two upholstered occassional chairs. Buy one frame or the set. Don’t like the look of them now? 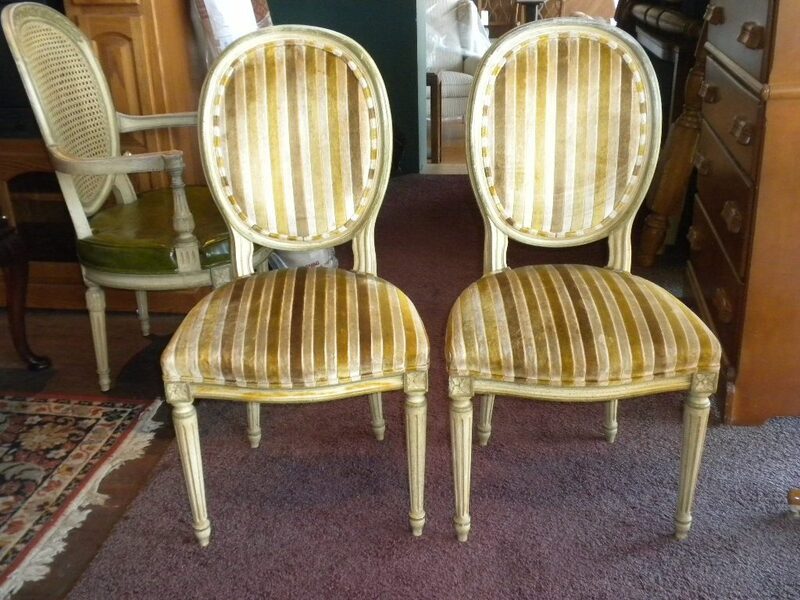 Imagine them stripped and refinished to a beautiful wood color or painted white or black maybe, with a new fabric to suit your home. We can make them beautiful again! $50.00 each For more information, please call us at 412-771-6667.